“Who’s Grace Askew,” I asked? Ok. I spent the day working on vocals and guitar tracks at the studio, then to the Starlight Theatre for dinner. Speculation was that the whole thing was about the Reality TV show. After dinner, I went back to the studio to make rough mixes, and showed up at the High Sierra around 9:00, where Jeff Haislip was talking to a thin dark-haired woman at a table outside. No video cameras visible… good. 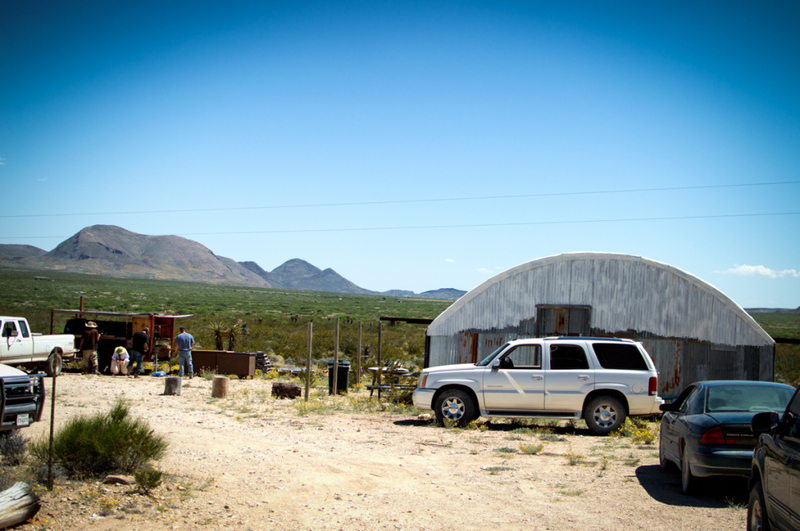 Video crews, TV shows, Movies – in Terlingua? All the world’s a stage, And all the men and women merely players; They have their exits and their entrances, And one man in his time plays many parts… last night, I played a drummer. In the last month, we’ve had a Japanese TV crew shooting a car commercial, a Dutch travel show filming an episode for Euro-TV, a French crew doing something, and the “reality” show crew is still slithering about. Last night, another video crew was in town to film a 30-second promotional video for the Texas Tourism board. 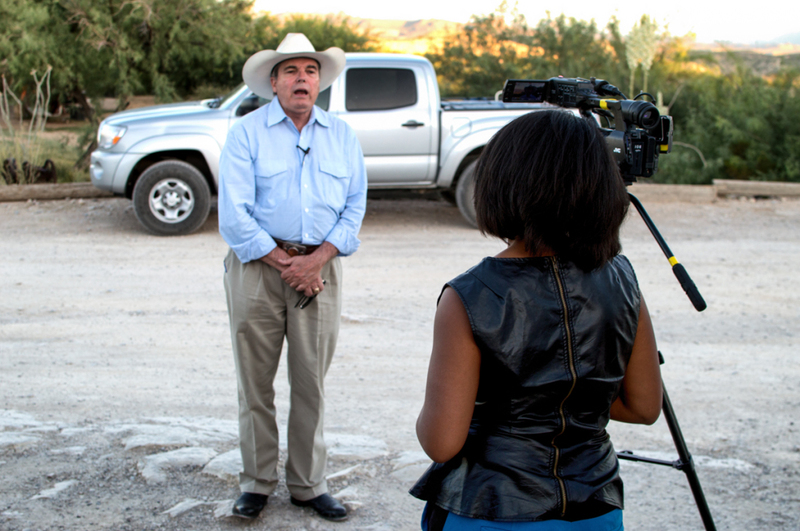 At the same time, a local TV reporter was filming an interview with the local District Attorney. Brewster County DA, Rod Ponton, explains for the camera how he managed to not get a conviction. Voices From Both Sides 2015 – Fiesta Protesta. 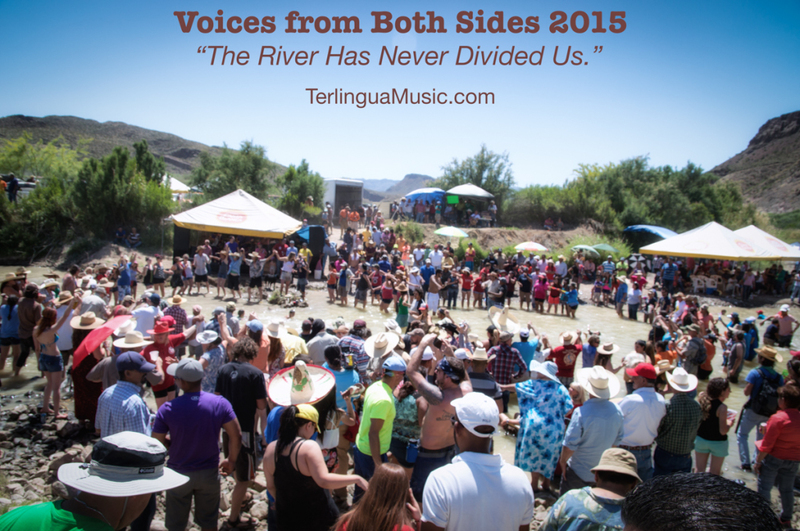 For the third year in a row, neighbors from both sides of the Rio Grande River gathered in Lajitas, Texas to celebrate “Voices From Both Sides,” a peaceful protest against the closing of the border. 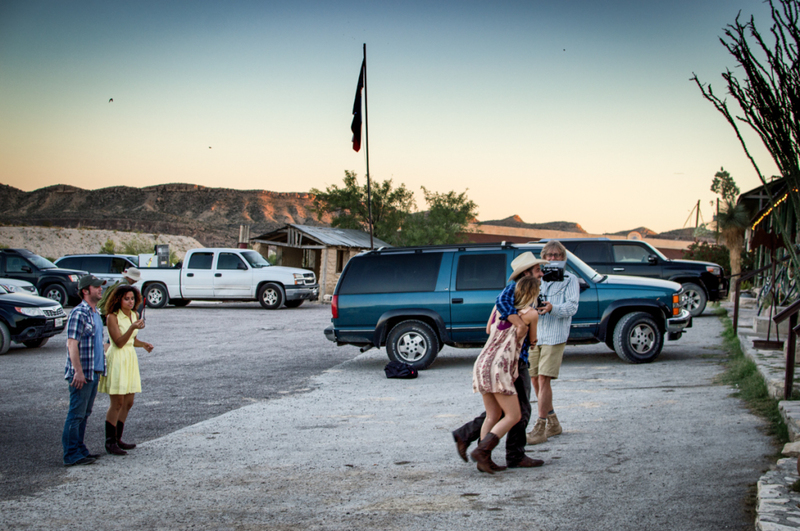 There’s a new community gathering place and music venue on Terlingua Ranch, and yesterday George and Anita Goss hosted a party there to get it going. 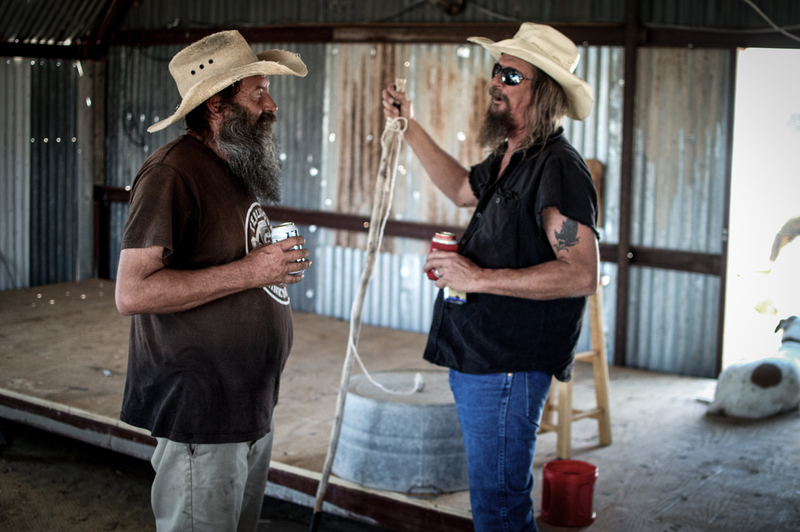 An old airplane hanger near Camel’s hump on the Terlingua Ranch Road – formerly Suzie’s Snak Shack – is coming back to life as a community gathering place and music venue. 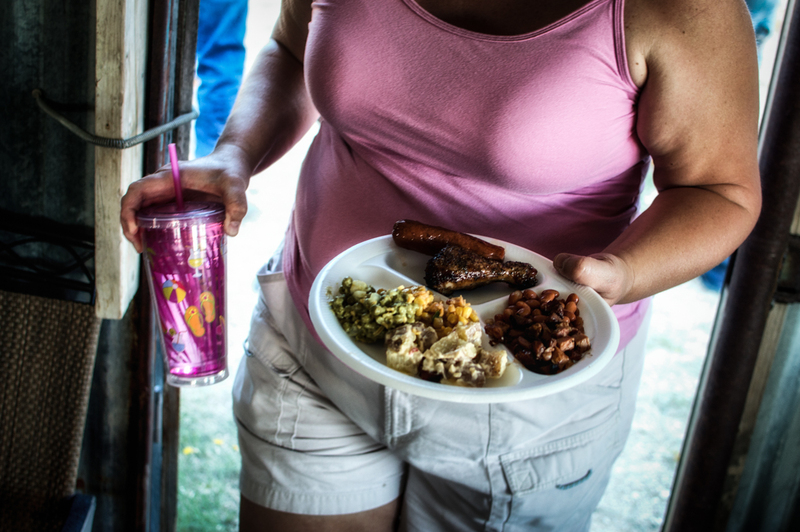 The Bar-B-Que was donated, and sold for $10/plate- all proceeds to go to getting the electricity turned on. The stage was built with volunteer labor and donated materials. 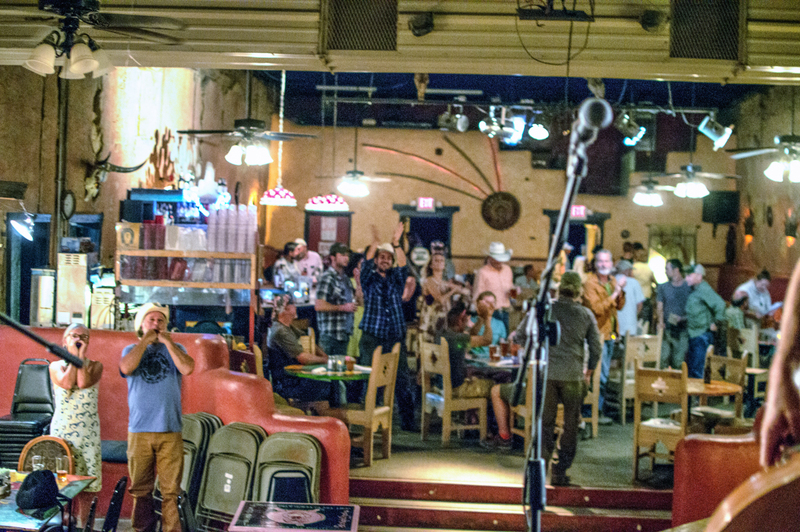 The vibe was “old Terlingua” and so was the music- hand made, acoustic, and from the heart. “I’ve never seen this many cars at Suzie’s before,” was a sentence I heard at least a dozen times yesterday. People came from Lajitas, Terlingua, Study Butte and Terlingua Ranch to gather, dance, sing, and enjoy life in the desert. 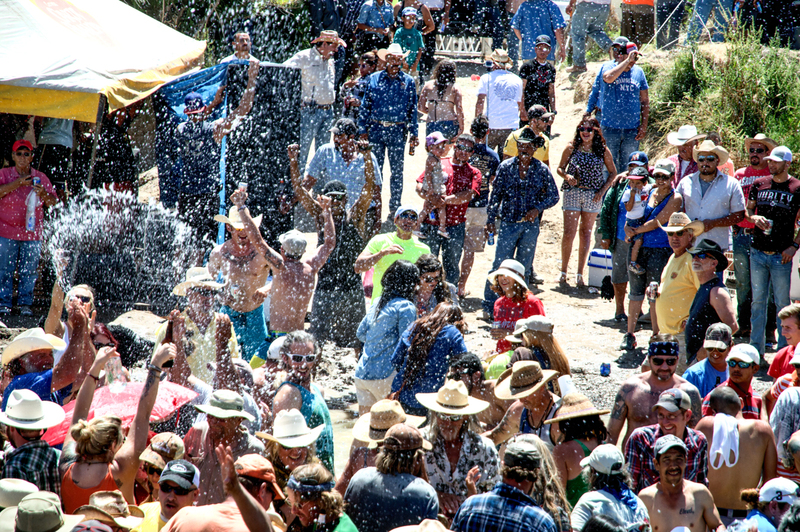 There is certainly a need for a community gathering place at the Ranch, and it won’t take much to make it a reality. 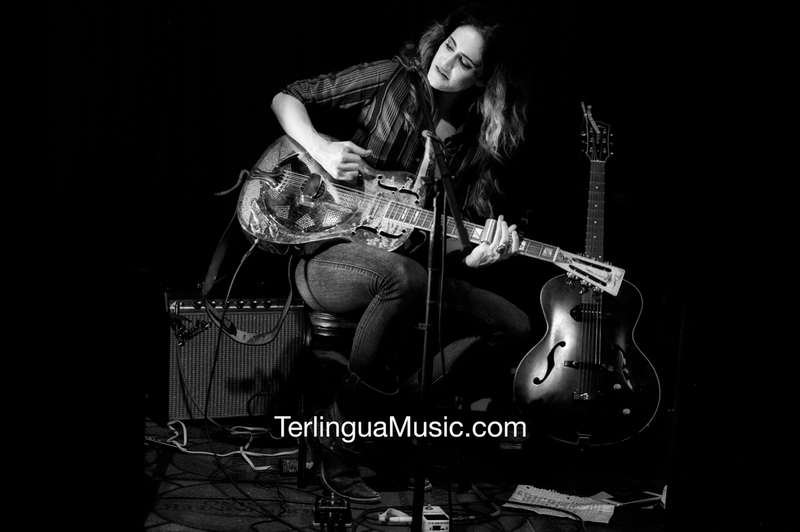 Terlinguists are famous for making their own entertainment- we don’t need much more than an excuse and a place to create an excellent time. There’s still a lot of work to do. George has a vision of turning this place into a concert hall, recording studio, possible video location, and a tribal gathering place for family and friends. It’s going to take money, materials, labor, and lots of beer- yesterday’s gathering proved it could be done.